Pesticides, many in number, are common SOCs (synthetic organic chemicals) that can contaminate both wells and surface waters as a result of runoff from agricultural use. City lawns are a typical source of pesticide contamination in water. Although certain pesticides have been banned, many very harmful substances remain in use. Some break down in nature, others have an extremely long life and can persist in the environment for years. Low levels of pesticides are commonly found in water. 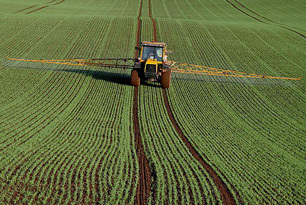 Pesticides can have a wide range of human health effects. Many are acutely toxic, and some are potentially carcinogenic. In general organics, whether synthetic—like pesticides—or natural, are removed most effectively by activated carbon filtration. Ultrafiltration will also remove organic compounds and reverse osmosis removes 97 to 99% of pesticides.